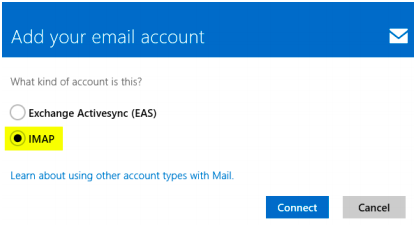 If this is a new mail setup on a Windows 8 machine, you will be automatically prompted to set up an email address in Windows 8 mail. If this is an additional address that you’re adding, you will need to move your mouse to the right side of your screen, select Settings and then Accounts. A new window will appear to the right of your screen called Add an account. 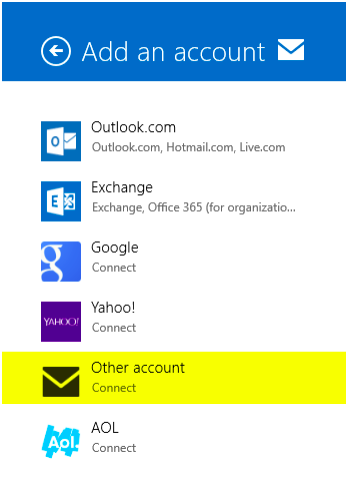 Select Other Account. 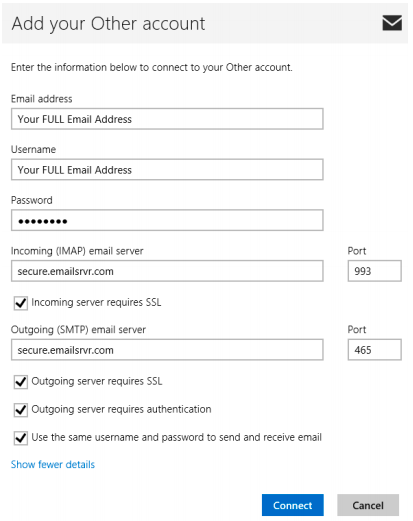 Select IMAP on the next screen, and then Connect.